All mining activities in South Africa suffered in 2016. As a whole, the industry suffered a 4% decline during the year, which was the steepest decrease since the 2009 global recession hit. Only diamond production was able to see growth during that year. Coal is a central component of South African mining. 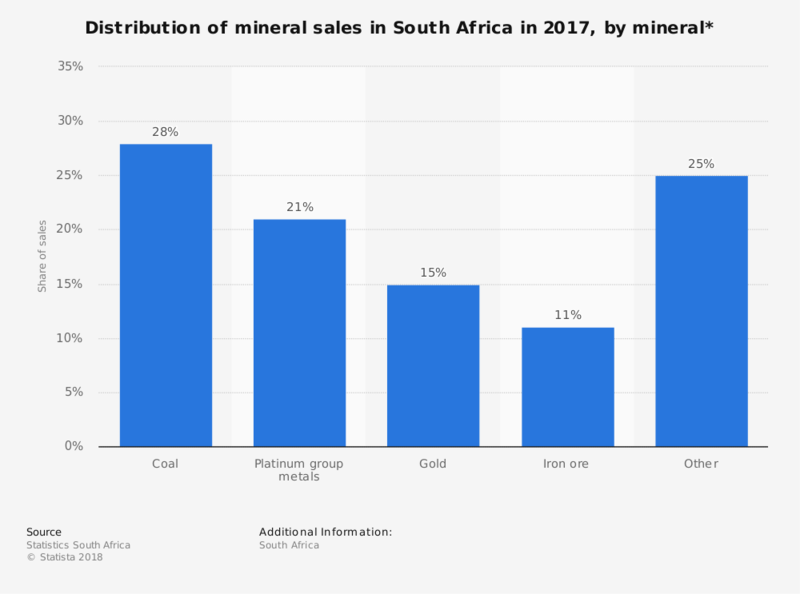 The South African coal mining industry is responsible for 28% of the total mineral sales which occur during the average year, which leads the mining sector. Platinum follows in second, with 21% of all sales, followed by gold at 15% of total sales. Despite leading in total sales, the growth in production for coal in South Africa was just 0.5%. In comparison, manganese mining production grew by 32%. Mining is important to the overall economy in the country in several ways. It contributes 8% of the revenues that are produced for the national economy and employs 2.5% of the overall workforce. 1 in 40 people in South Africa are miners. At the current production levels, assuming that no new coal deposits are found within the country, there are about 50 years of coal supplies left that the mining industry can access. With 62% of the coal being used for electricity generation and 23% used for the domestic petrochemical industries, time is running out for the South African coal mining industry. Even though it is consistently responsible for more than one-quarter of mining industry revenues for the country, we are just two generations away from having this resource disappear. Without new energy resources being developed, South Africa will be forced to import the coal they require. One way to reduce coal usage immediately would be to develop alternative electricity generation capabilities. By reducing electrical consumption of coal by 50%, the current supply could be extended another 15 to 25 years.